I always loved the Hi-NRG rhythm to this one back in the 80s, probably because it has a similar feel to Frankie's Relax (which I'm also a big fan of), but without the controversial lyrics, of course! The playlist includes the original video, a performance on BBC Top of the Pops and the follow-up single, Masquerade, which you can read about further down this page. 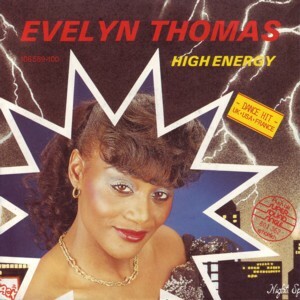 This song was the title track from Evelyn Thomas's third studio album and very popular in dance clubs and discos around the globe - it topped the American Dance Chart and peaked at No.5 in the UK singles chart. 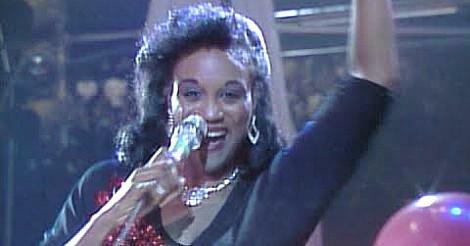 The song became one of the earliest successful songs within the genre of music that has come to be known as Hi-NRG. Gay Club DJ's gave the abbreviated term to music that surpassed a certain tempo and it was, no doubt, borrowed from the title of this single. A 2004 remix also became a worldwide club hit. 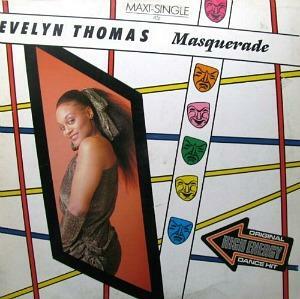 The first British hit single for Evelyn Thomas was Weak Spot which reached the Top 30 in 1976. 1. Masquerade 2. Heartless 3. Running Wild in the Night 4. High Energy 5. Second Best 6. Chalk It Up to Experience 7. Shy Guy. This was the follow-up single to High energy but flopped miserably. 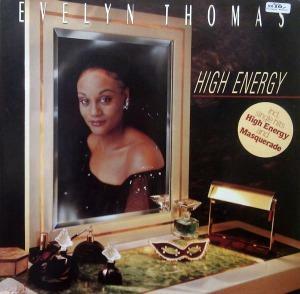 Despite using a similiar groove, the song just doesn't have a strong enough hook, although Evelyn gives it her all vocally. It's such a shame and the American singer didn't manage to have any more UK hits and, therefore, joins the "One Hit Wonder" club.